– Greetings from Metalheads forever, How are you guys doing? We’re doing great, we are very excited for what is coming up for Phenomy really. Metalhead Meeting Festival and Wacken Open Air in the next two months. This is Incredible. 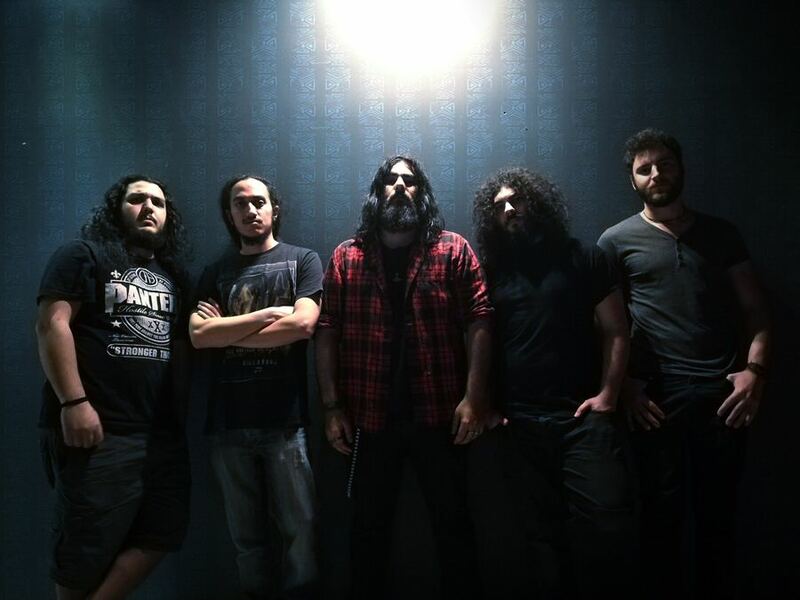 – Tell us about the metal scene in Lebanon? Well, the metal scene in Lebanon is progressing and becoming bigger and better. It surely has it’s highs and lows but it is doing really well now. We just heard that Tarja Turunen was coming to play this summer in Lebanon at Byblos Festivals. Also surprisingly Groove Machine Entertainment managed to get Decapitated to play here at Beirut Metal Fest 2018. Having a Death Metal band or any extreme metal band performing in Lebanon is really a challenge and being able to do that is a sign that the scene is up for something big. – You have recently signed with Alpha Omega Management, how do you feel about this new deal? It is a great honor to work with these guys, we are really happy with what we got from that. Being confirmed to play in Metal Meeting Festival is a huge deal for us not only because we are opening for some of our childhood favourite bands but it is also because it is a great chance for us to show what Phenomy is made of and share our music with a bigger crowd. Also the Alpha Omega team are really cool people to work with. – Do you get hatred in your country being a metal band, what are the obstacles that you face? Well Metal is not our country’s favourite kind of music and it might not be the biggest scene but we managed to get through that, after all this is the music we love, this is what we want to do. Lebanese metal heads showed on many occasions that they were open minded and well mannered. But the problem here is that it is harder to get recognised. Venues are expensive, we have no support coming from the government and that is not only for metal but for all kind of arts. Travelling to other countries where the metal fanbase is bigger is very expensive with the VISAS and travel expenses. Thankfully Phenomy was the first band to get support from “Bach Entertainment” a Production company created by Bachar Sawaya to help and sponsor young talented Lebanese bands. That helped us to tour eastern Europe, Record two albums in two years and get where we are now. – You have won the Wacken Open Air Battle and going to be performing in one of the greatest festivals in the world, how are you feeling about this, this should be every band’s dream to be out there? We are truly humbled to represent our country and play Wacken Open Air Festival 2018 and we are very excited to perform there. It is a great opportunity and we are willing to make the best out of it.We dream big and we do our best to make this dream come true. But we believe that if we work hard enough we are going to get where we want and so far the hard work is showing of and we have just begun. – Can Phenomy change the minds of people in Lebanon and show the greatness of Metal to the people out there who still don’t know the real thing about Metal? We were able to do that on many occasions. Signing with a European Management like Alpha Omega, Getting to play in Festivals around the world in front of thousands and showing how metal fans are loyal and how they really believe in this music. It gives us a purpose, hope and satisfaction. There is nothing more satisfying than seeing someone head banging, enjoying and getting influenced by your music. – You guys have started touring around the world, how does it feel to show Phenomy to the world? – I got the chance to listen to your album T.W.O. musically and lyrically a good album, great work on that guys, are you planning for another album anytime soon? Hell yes! We are actually working on the third album. Writing new music is what we always do when we are not on stage or rehearsing. And for what we have until now, we can say that it is going to be very interesting and different. Working on that is really exciting and we can’t wait to share updates about this project with everyone. – Would you like to share a message for the readers and fans? To our fans, thank you so much for the support and for believing in our music. Stay tuned on our social media pages and website for lots of exciting news from Phenomy. Never hesitate to message us, we always like to stay in touch with our friends and fans. Thank you Metalheads Forever for mentioning us and for this awesome interview.